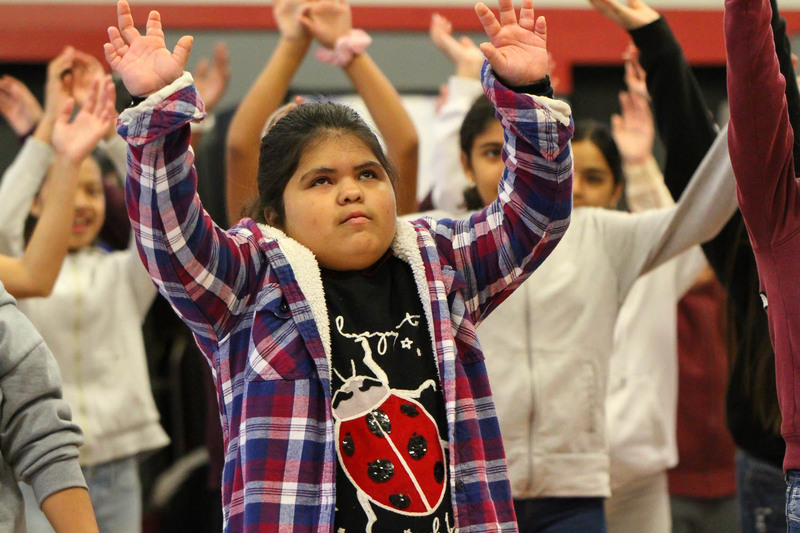 Compton-The excitement of Compton students taking part in a week-long workshop of dance and the arts recently set up by The Music Center and the Alvin Ailey Arts in Education & Community Programs was not limited to the youths invited to take part in the program. 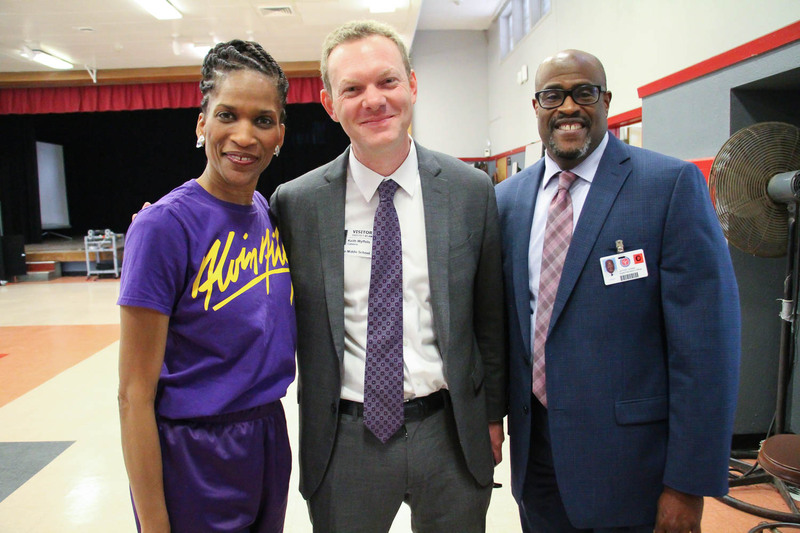 The adults in the room were just as giddy as the students were at having the opportunity for The Music Center, Alvin Ailey Arts in Education & Community Programs, and Compton Unified School District provide professional development in dance to the young pupils. Students from Walton Elementary School, Davis Middle School, and Bunche Middle School got their fill of learning dance routines and being introduced to understanding the choreography movement of Duke Ellington’s Night Creature: An Imaginative Journey Through Dance and Alvin Ailey American Dance Theater’s signature piece Revelations. For LaKeyshua Washington, principal at Davis Middle School, this was a terrific experience for her students. 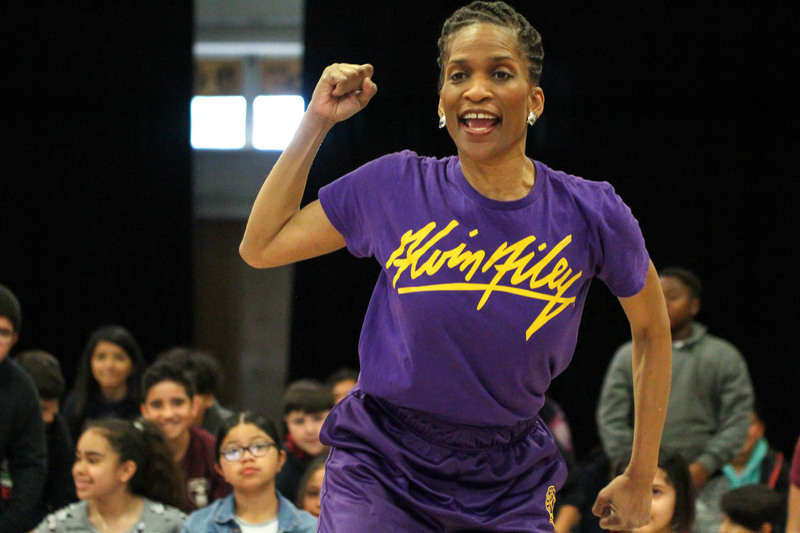 The connection Washington is hoping her students will get is how dance can effectively translate past and present experiences through the creative means of the arts. Washington said that the Alvin Ailey American Dance Theater, which performed April 3-7 at The Music Center’s Dorothy Chandler Pavilion, manages to invoke raw emotions to go along with those experiences-good and bad. 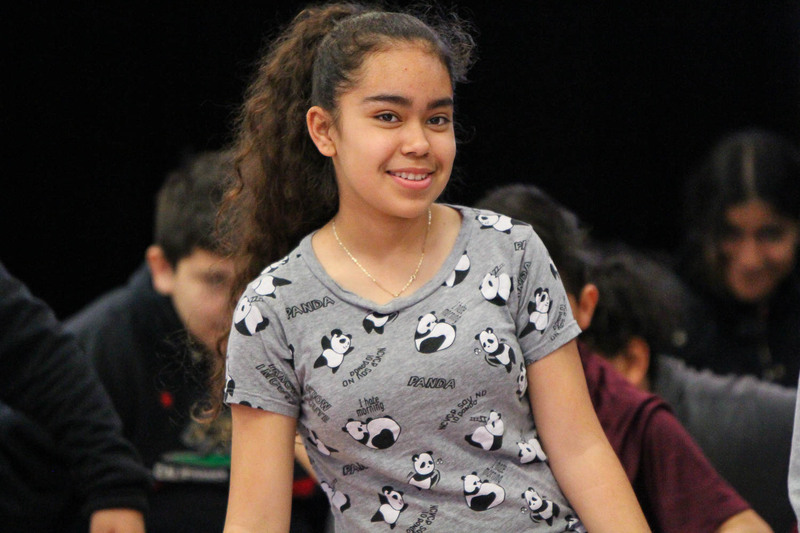 Eternity Thomas, a seventh-grade student at Davis Middle School, was able to find that connection, even though dance would not have been an avenue for her to explore. Thomas said she was encouraged to take part in the dance workshop for her Girls Club instructor. She’s glad she took that advice. Besides its outreach to Compton students, The Music Center serves more than 14,000 students at 85 schools within Los Angeles County, said Keith Wyffels, associate vice president of education at The Music Center. The Music Center is also incorporating educators in the fold as well, providing training for at least 1, 200 teachers in the arts (dance, theatre, music, and visual arts).